This live album is the perfect place to start investigating this band. And for most Prog fans it will be a perfect place to stop too - this is really the only Barclay James Harvest album you will ever need! 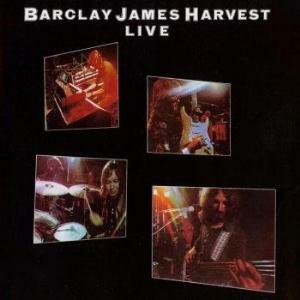 They did some good songs that are not present here, but here we have basically the very best of Barclay James Harvest, performed live with more energy and instrumental power than you will find on any of their studio albums. Summer Soldier and Medicine Man are particularly interesting since they are radically different from their studio counterparts, and contain much more instrumental work. Need I add that they are much improved? The rest of the set are more faithful to the studio versions in structure but most songs feel livelier here and there is a sense of urgency lacking in the studio albums. This is especially apparent on the older tracks like She Said and Mockingbird, which I felt were too "sleepy" on the Once Again album. Barclay James Harvest is not an essential Prog band, but if you want them in your collection, be sure to make it this one!